Voters will decide on contested Burlington City Council races in the North, South, East and Central districts. Longtime incumbent Councilor Jane Knodell did not receive the nomination of her party, the Progressives, and opted to run as an independent for the Central District seat. She faces Perri Freeman, the Progressive candidate, and Democrat Jared Carter. In the South District, incumbent Democrat Joan Shannon faces Progressive Mohamed Jafar and independent Paco DeFrancis. In the North District, Dave Hartnett decided not to make a reelection bid. Democrat Franklin Paulino and Kienan Christianson, an independent who received the Progressive endorsement, will compete for the seat; in a last-minute shakeup, the third candidate for the seat, independent Ericka Bundy Redic, said she was dropping out and endorsed Paulino. In the East District, incumbent Democrat Richard Deane faces a challenge from Progressive Jack Hanson. One thing voters will not be considering is the plan to revamp City Hall Park; though a group petitioned to add to the ballot a question about halting the $4 million project, the council voted against putting the issue to voters. Kristine Lott and Eric Covey are running for mayor. Both have served on the city council; Covey remains a member of the council. Winooski voters will also vote to fill three spots on the city council, and will consider a proposal for a $9.7 million downtown garage that would have space for 300 vehicles. Should the town invest in a $14.3 million sewer line along the Lake Champlain shoreline? 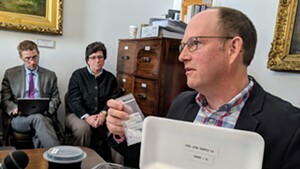 The Colchester Selectboard has unanimously supported the plan, and the Vermont Department of Environmental Conservation has approved it, and would offer grants and low-interest loans to help with the cost. Now the issue comes before voters. Middlebury will vote on whether to ban single-use plastic bags. The Addison Independent checked in with one Middlebury group that’s sewing reusable bags to distribute for free in support of the plastic bag ban — and created a video about it. ...Or should we say Morrisville? Morrisville is a village in the town of Morristown, but it's also the name that many people use for the whole municipality. Voters will decide whether to resolve this confusion once and for all by changing their town's name to Morrisville. The southern town will vote on a resolution to reduce fossil fuel use by turning down the heat in municipal buildings — and encouraging town employees to bundle up for work. Specifically, the resolution encourages the use of "long-johns, sweaters and other warm clothing." The town will vote — for the third time — on whether or not to close its high school. The tiny school has 42 students enrolled, and some residents launched the current effort citing a lack of academic and extracurricular options. Also on the ballot: a nonbinding measure to designate the town a "pollinator-friendly community" and encourage residents to reduce pesticide use and mow less often. Who needs a poundkeeper, anyway? Williston voters may decide they don't. The municipality doesn't have a pound. Town Manager Rick McGuire said the position hasn't been filled for at least the 21 years he's worked there. 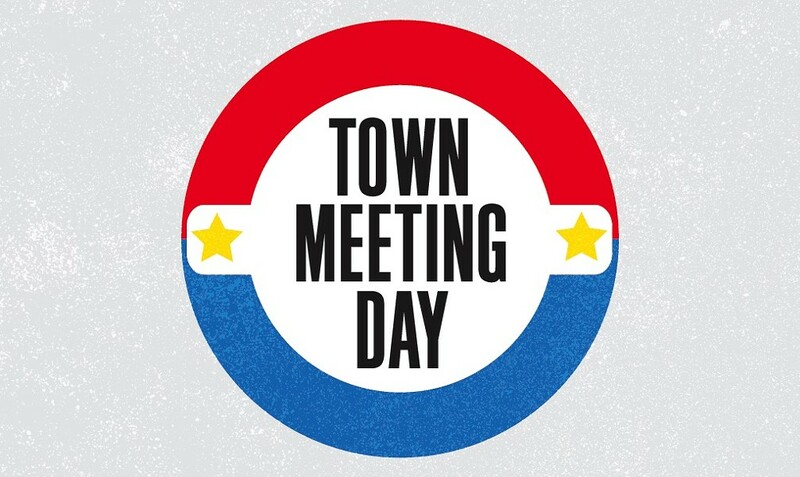 Want more of our Town Meeting Day coverage?